Perfect for a smaller living space, the Barolo bar and wine cabinet is portable and small in scale. Packed with function and storage, the cabinet doors open to 180 degrees and the top opens and slides out to create a true bar. 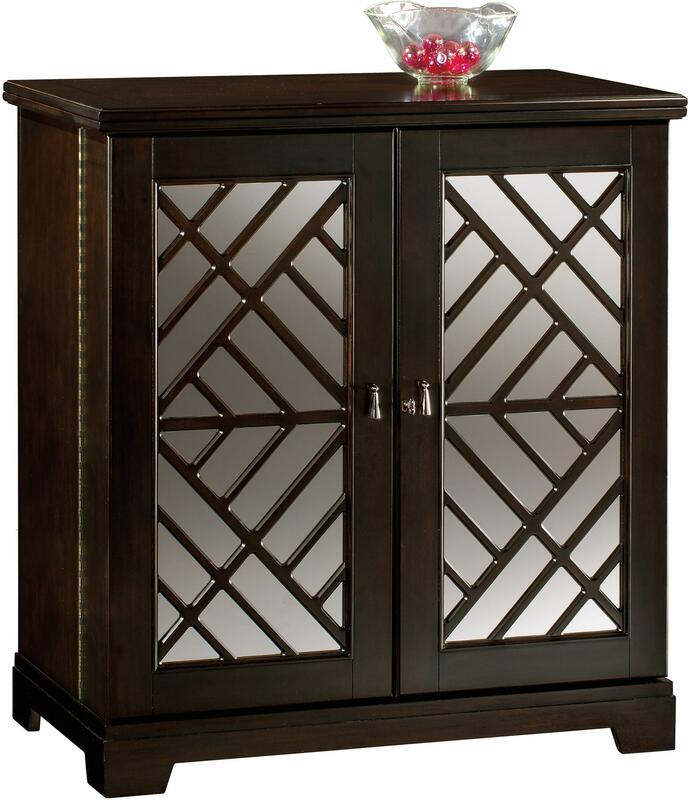 The cabinet interior offers adjustable shelving for wine bottles, stemware storage, and built in shelving. Mirrored panels on the door fronts with a decorative lattice design complete the piece for a truly stunning and functional bar cabinet. The Wine & Bar Furnishings Barolo Cabinet by Howard Miller at HomeWorld Furniture in the Hawaii, Oahu, Hilo, Kona, Maui area. Product availability may vary. Contact us for the most current availability on this product. Storage Two adjustable stemware racks can store up to 18 large wine goblets. They also act as a shelf for extra storage. Four adjustable shelves store up to 20 bottles of wine. Each shelf is reversible so that it can be used for alternate storage.